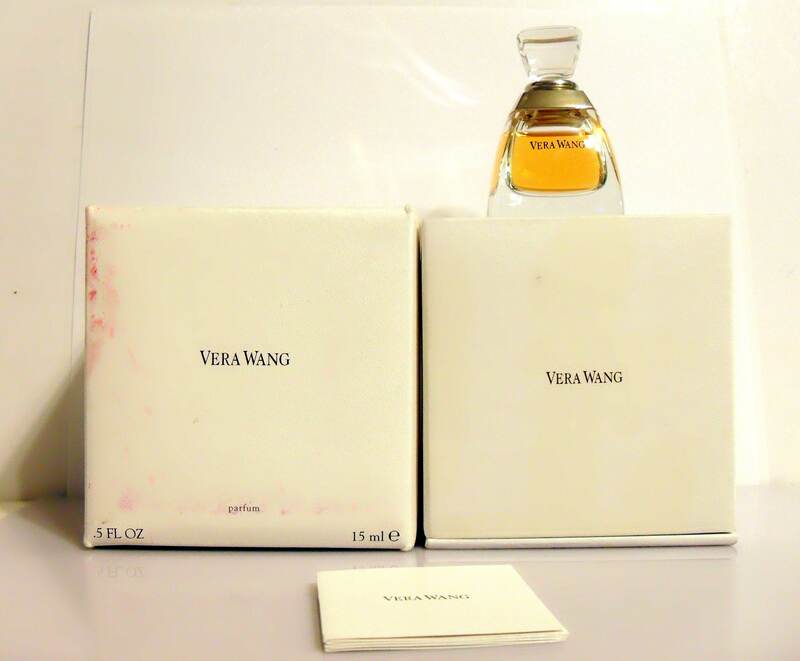 Vintage Vera Wang by Vera Wang 0.5 oz Pure Parfum Splash Extrait Crystal Perfume Flacon in Presentation Box. 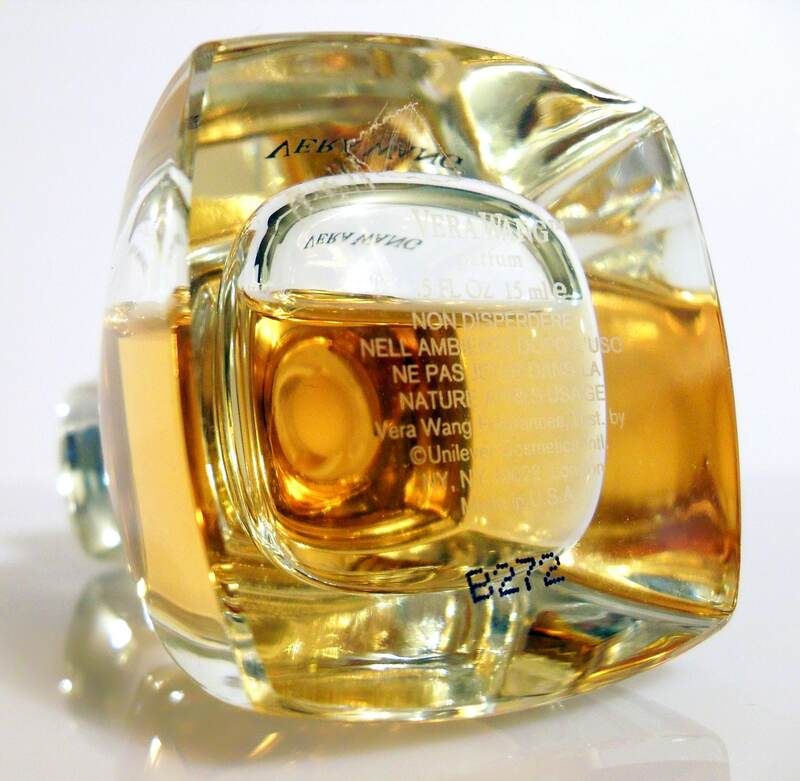 The bottle is about 85% full - see photo for actual fill level. 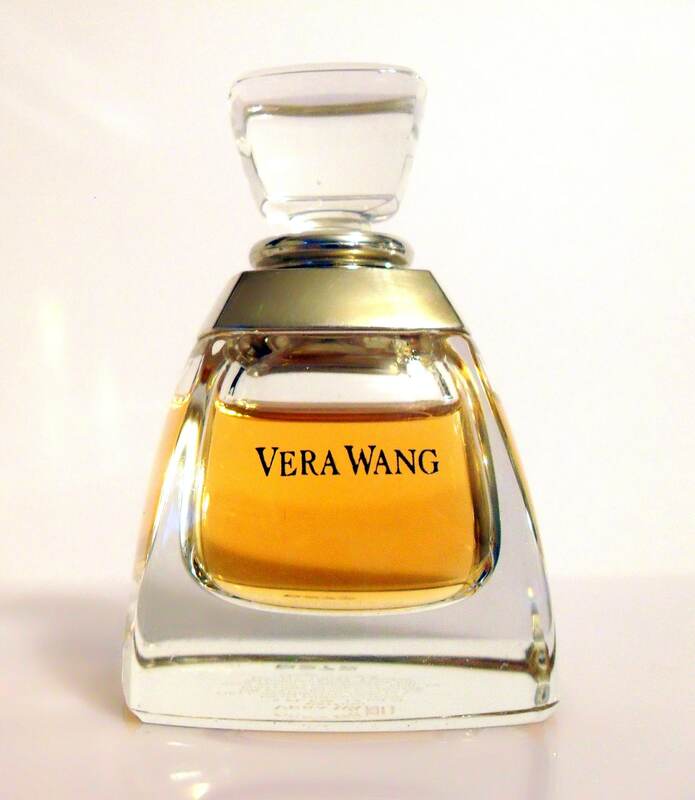 The perfume is old and not as fresh as it once was. The batch code is B272. The outer box has some stains and wear from storage.